So how should churches receive and dismiss members? How should Christians view their submission to the church? Are there dangers in such submission? 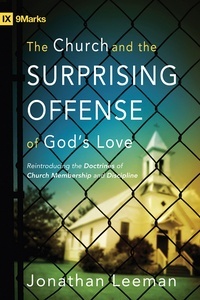 The Church and the Surprising Offense of God’s Love responds with biblical, theological, and practical guidance-from both corporate and individual perspectives. It’s a resource that will help pastors and their congregations upend worldly conceptions and recover a biblical understanding and practice of church authority.